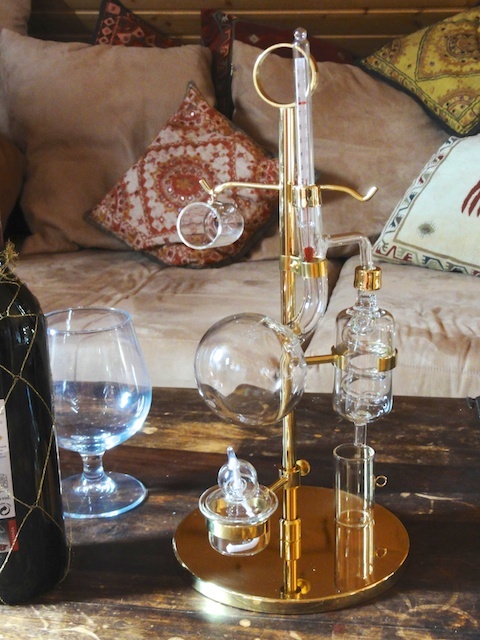 Distil legally: 0,5 liter glass stills made of laboratory quality glass. You can watch the individual distillation processes by using our unique and beautiful glass stills manufactured in Germany. Ideal für researchers and alchemists. The "Fortuna" and "Pelikan" stills were specially individually produced for us in a German glass blowing workshop and optimized for proper distillation. A bit of German quality in premium laboratory glass. The table stills which also come from Germany are also very suitable for proper distilling. Especially when you are with friends and would like to transform a glass of wine into your own brandy, the fun in distilling is guaranteed. That is why we spontaneously christened the smaller model the "Fun still".